I was getting ready to buy a pill box the other day when I realized it was crazy to pay for something we could make at home. 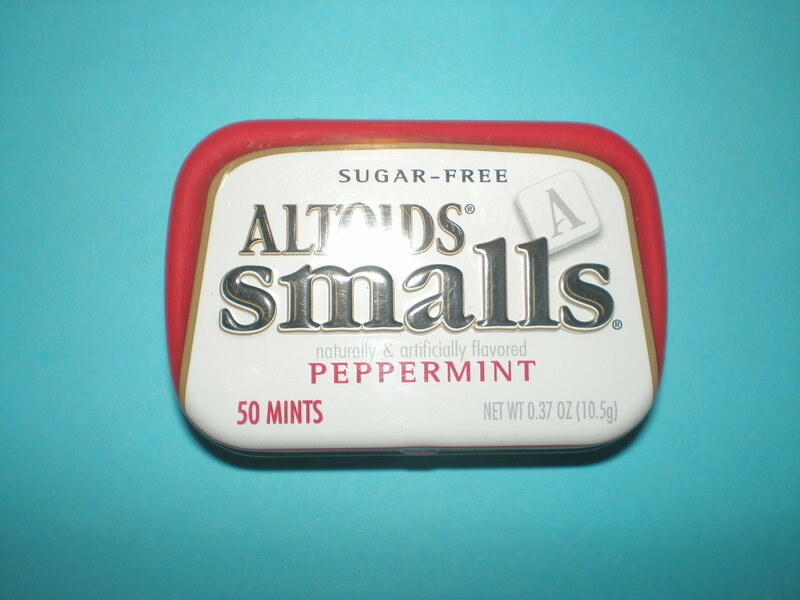 So here is a new craft with the Altoid box, only this time we used Altoids Smalls tins. 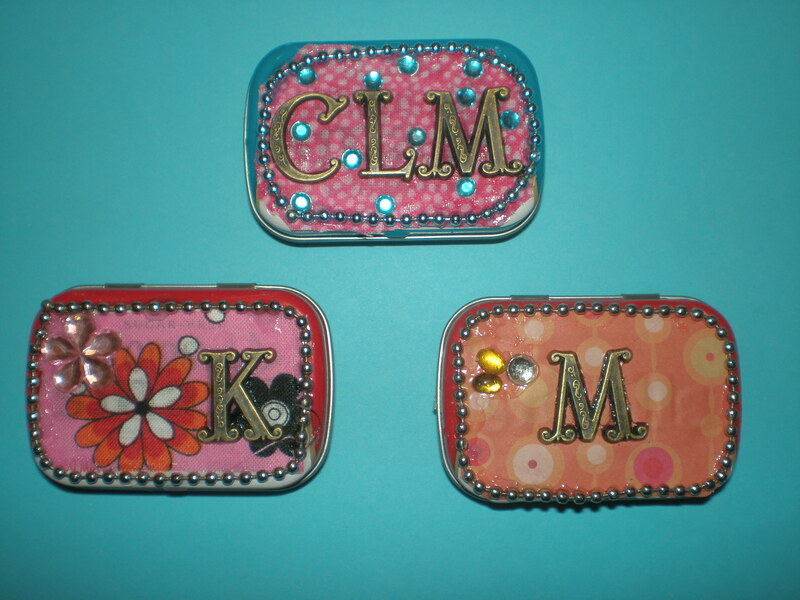 Start with an empty Altoids Smalls tin Cut out a small lid-sized rectangle of fabric Coat top of box with glue Apply fabric Run beaded chain around box and secure with glue Add letters and gems as desired Done in a jiffy! Now it’s ready for trinkets, pills, paperclips, or pins.